A quarterly periodical that published articles on ecclesiological and archeological studies of the southwest of England and of south Wales. 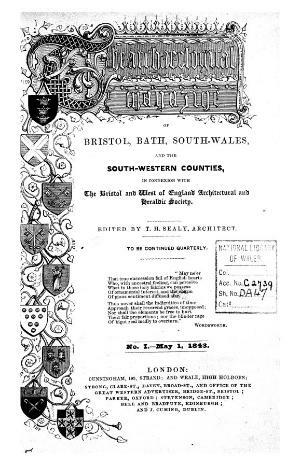 One of the periodical's main aims was to alert the general public to the existence of the Bristol and South West of England Architectural and Heraldic Society and to publicise it aims. The periodical was edited by Thomas Henry Sealy (1811-1848).